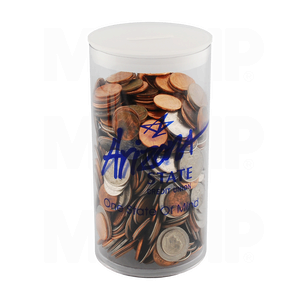 Our durable Donation Containers are the perfect choice for your fundraising campaign. 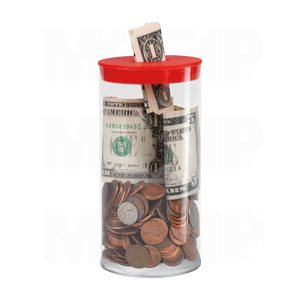 These clear containers offer a sturdy sealed bottom and a removable plug with coin slot for repeated use. 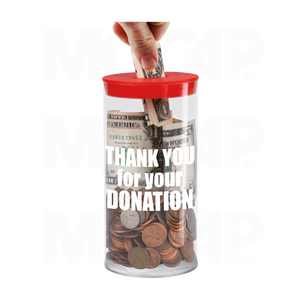 Click the cart icon in the size chart to buy now.